Yesterday evening around 5:45 PM, we heard a loud boom, and the house shook as though something large had hit it. As many of you will have heard, it was actually a huge gas-line explosion just off the downtown square here in Canton, which is just over a half mile from where we live. One Ameren worker, who’d been working on the gas-line at the time, was killed, and several other people injured, including Dr. Tom Eiselt, a colleague from my Rotary Club here in Canton. Tragedies such as these remind us of what’s truly important. Coincidentally, as I’d been preparing for my monthly television segment on WEEK-TV in Peoria, I’d been thinking that having just come through this contentious election season, and since Thanksgiving is only a week away, how really important it is for us to shift our focus away from everything we think is wrong in our lives, and instead put our attention on everything that is right. 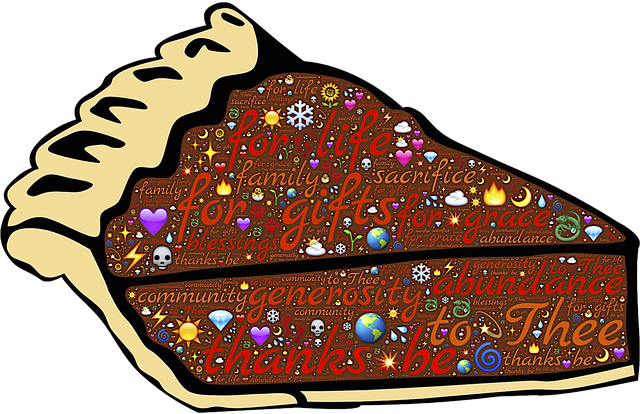 And that’s what Thanksgiving is about—celebrating our blessings of abundance. While it’s certainly much more challenging during times of crisis and loss, this shift in focus—from dissatisfaction to gratitude—is nonetheless really important, because as creative human beings, whatever we focus on intently, we tend to increase and replicate. Even within the context of last night’s disaster, we can be grateful that there weren’t more injuries or loss of life, as there so easily could have been. Choosing gratitude allows us to weather the storm of adversity with more grace and acceptance. Perhaps just as importantly, with an attitude of gratitude our subconscious mind goes to work to create more of the same, and our experience of abundance is replicated. And of course we’re not just talking about material abundance… Abundance can take many different forms. In our country, we have an abundance of freedoms and opportunities that many people don’t have. We can also appreciate the abundance of relationships, our friends and families, our health, our safety and security, and even our ability to help others in situations of need. And whatever we focus on tends to expand. In fact, when we join together in this experience of shared appreciation and gratitude, our imagination becomes enflamed with possibility, and truly magical things can often take place. We experience our blessings expanding until our cups runneth over. We find ourselves acting on this vision of abundance, potently charged emotionally by the feelings of gratitude, and we move unerringly towards its further manifestation. My prayers go out to all those who suffered loss in this crisis, and I also want express my deep and abiding gratitude to all my friends, family, clients, and my many other connections for enriching my life in so many ways. May you all have a safe and blessed Thanksgiving.